WG DST 2, a newly-formed DST formed by the JV between Cantor Fitzgerald, Mesirow Financial & Net Leases Capital Advisors is offering to sell to qualified, accredited investors 100% of the lass A beneficial interests in the Trust. 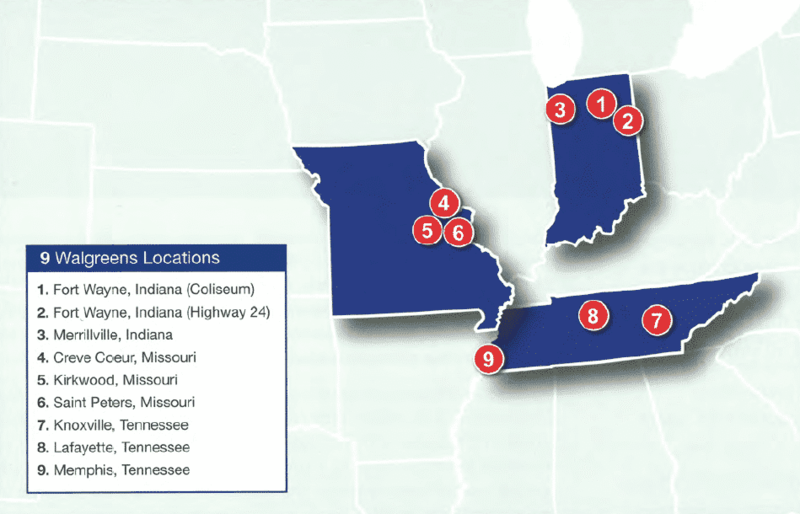 In December 2014, a Joint venture(the “JV”) owned and controlled by affiliates of Cantor Fitzgerald (50% ownership), Mesirow Financial (25% ownership) and Net Lease Capital Advisors (25% ownership) acquired nine properties located in three states as part of a larger sale-leaseback transaction with Wallgreen Co. Each Property is 100% leased to Wallgreen Co. (Wallgreens)on a long term, triple-net basis with contractual contract. The offering is designed for accredited investors seeking to participate in a tax-deferred 1031 exchange as wells as those seeking a real estate investment that generates current returns. 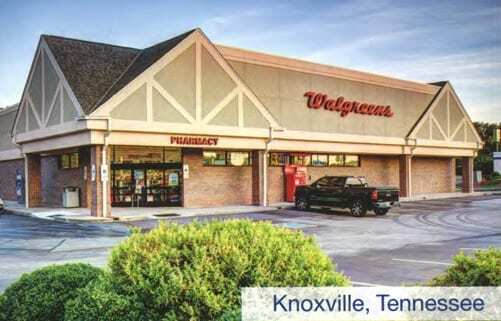 The JV negotiated new 15-year leases directly with Walgreens that commenced December 19, 2014 and include 12 five-year renewal options for a total potential lease term of 75 years. The leases contain 5% rental increases every five years for the primary 15 year term and the first four option periods and adjust to fair market rent thereafter. Wallgreens is responsible for all operating expenses, repairs, maintenance and capital expenditures at the Properties during the lease term. Walgreen Co. is rated Baa2 by Moody’s and BBB by Standard & Poor’s. 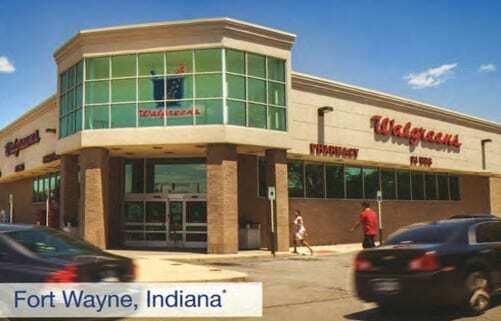 In the event that Wallgreens fails to maintain certain net work covenants and in “investment grade” credit rating by either Standard & Poor’s or Moody’s, Walgreens shall cause its ultimate parent, which is currently Walgreen Boots Alliance Inc. (NASADQ: WBA), to execute a guaranty of the leases. 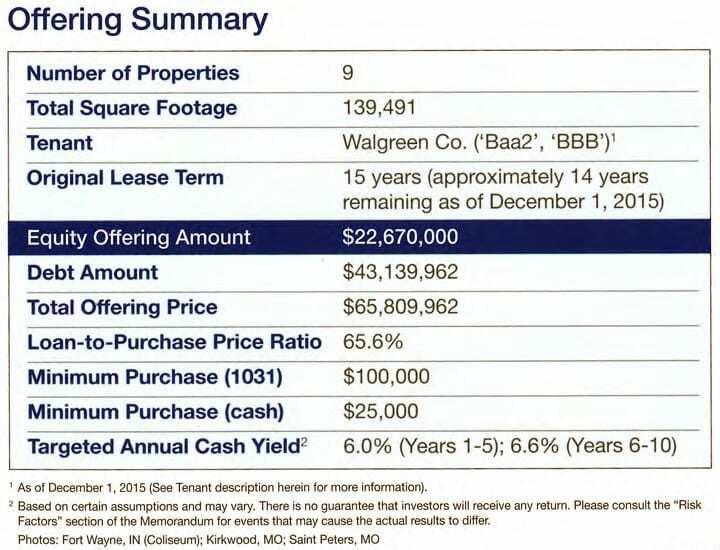 Average sales for the Properties, as of of the trailing 12-month period ending May 31, 2014 of $10.5 million, are over 20% higher than annual sales of a typical Walgreens store of $8.5 million. The Properties have been open for business an average 15.9 years (as of December 1, 2015) and each property features a Drive-thru. Eight of the Nine Properties are located at signalized intersections with an average daily traffic count of over 29,000 vehicles. The Kirkwood property is located mid-block along a major retail thoroughfare in downtown, Kirkwood., Missouri with an average daily traffic count of over 33,000 vehicles. The Properties are financed with a Loan featuring an anticipated repayment date in year 10 and ultimate maturity date in year 15, matching the financing to the initial lease maturity. The tenant under each of the leases is Wallgreen Co., a wholly owned subsidiary of Wallgreens Boots Alliance INC. (NASDAQ: WBA). 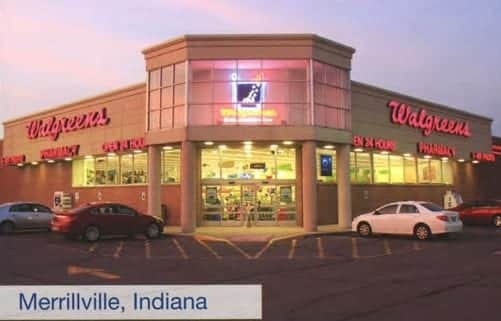 Wallgreens is the nation’s largest drug store chain with over 8100 stores in all 50 states, the District of Columbia, Puerto Rico, and the U.S. Virgin Islands. 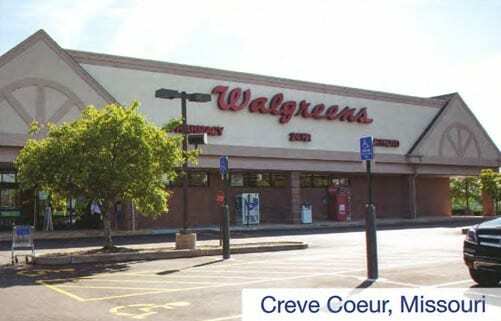 Approximately 76% of the population of the United States lives within 5 miles of a Wallgreens store and an average of 6.1 million shoppers visit the stores daily. Walgreens Boots Alliance employs over 370,000 people and is a global leader in pharmacy-led health and well-being retail with over 13,100 stores in 11 countries. In addition, Wallgreens Boots Alliance is one of the worlds’s largest purchasers of prescription drugs and many other health and well-being products. Wallgreens Boot Alliance ranked #5 among food ad drug stores on Fortune Magazine’s “World’s Most Admired Companies” list – and has been for 22 consecutive years. Founded in 1945, Cantor Fitzgerald is as global financial services firm with approximately 10,000 employees located in more than 84 offices and 20 countries around the world. Howard W. Lutnick, Chairman & CEO, and Anshu Jain, President, lead Cantor Fitzgerald’s highly experienced and respected management team, which continues to keep Cantor at the forefront of the global financial arena through a focus on unparalleled customer service and innovation. It is one of the only 22 primary dealers of U.S. government securities. The combined management teams have more than 100 years of experience sourcing and structuring new-lease and sale-leaseback transactions for its own accounts, as well as substantial capital markets and asset management experience.